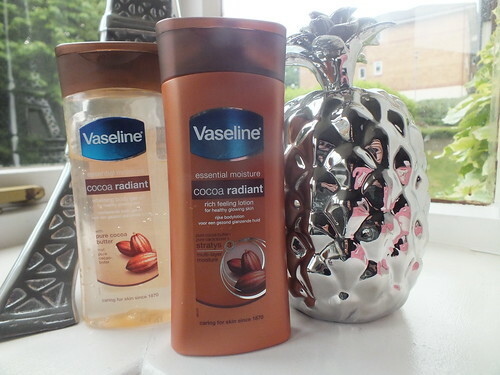 I was recently sent a few items from Vaseline's Cocoa Radiant range to try and there is no argument from me that they smell amazing. I was particularly keen to try the Cocoa Radiant Oil Gel* wondering if it would be a good alternative to my favoured L'Occitane Almond Oil (read post here). My haste and excitement meant I only saw Oil and didn't pay attention to Gel and when I got handy with my razor I was left with a very gunky razor and unshaven legs. Note to self, this will not aid shaving. I'm undecided how I feel about this product. I quite liked the feel on my skin initially but after removing myself from the bath I felt like I was left with a slick on my body which just felt messy and unclean but it certainly kept me moisturised. I've now passed this on to my mum as she has drier skin than I to see what her thoughts are - I will keep you posted. 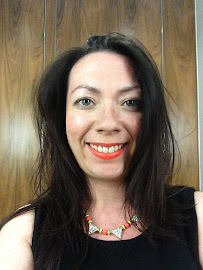 A win was the Cocoa Radiant Lotion* which had everything you'd expect from a body lotion, good smell, kept my skin moisturised and a product I would happily use, especially whilst the sun is shining and for a few moments I can imagine myself on a dessert island! That oil/gel product sounds really interesting. I don't know how I'd feel about it either haha. I love the Vaseline normal moisturisers though they're so affordable and work well.